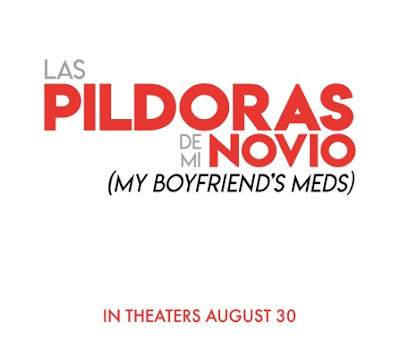 Jaime Camil and Sandra Echeverria star in the hilarious new comedy LAS PÍLDORAS DE MI NOVIO (My Boyfriends Meds). Jess (Sandra Echeverria) is a talented, high-powered marketing executive at an upscale tequila company who falls for Hank (Jaime Camil), a charismatic mattress store owner she meets while shopping for a new bed. Hank's charm and good looks convince Jess he is "Mr. Right," but Hank hasn't been completely open with Jess- Hank suffers from a variety of issues for which he takes an endless assortment of medications. On the night Hank decides to reveal his issues to Jess, she surprises him with an invite to accompany her on a work retreat to a remote island resort. Surprised by the suddenness of this next step in their relationship, he decides to keep his secret a little longer. When the new couple arrives to the island, Hank is horrified to discover that he left his meds behind and is no longer able hide his various symptoms. What is supposed to be a tropical "business and pleasure" trip begins to spiral out of control, and Hank goes from a handsome charmer to an erratic loudmouth- at the cost of Jess not only losing out an overdue promotion, but her job! Jess and Hank face the ultimate couple's test- learning what it means to be madly in love.